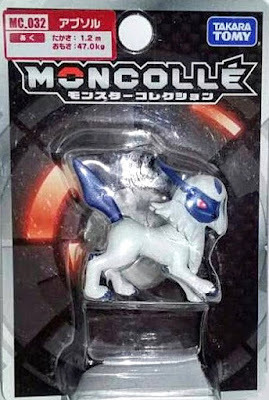 Pokemon figure Tomy Monster Collection AG series Absol アブソル. 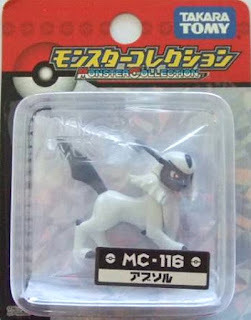 Note: AG series number 152 & 359. 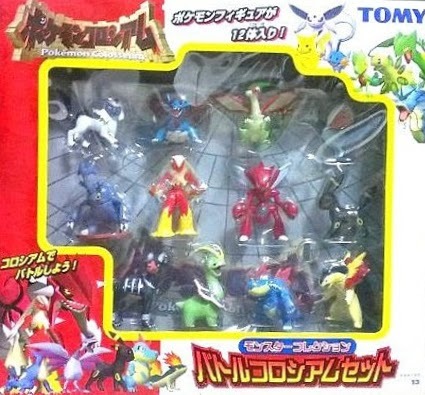 Same pose in Diorama Map AG Jirachi set. 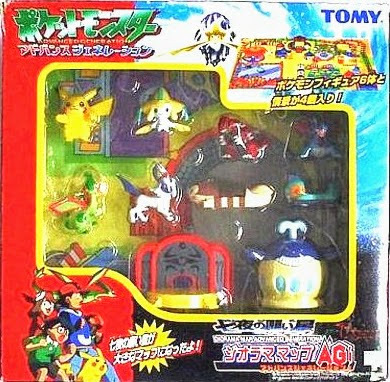 Semi-clear version in 2003 movie promotion. 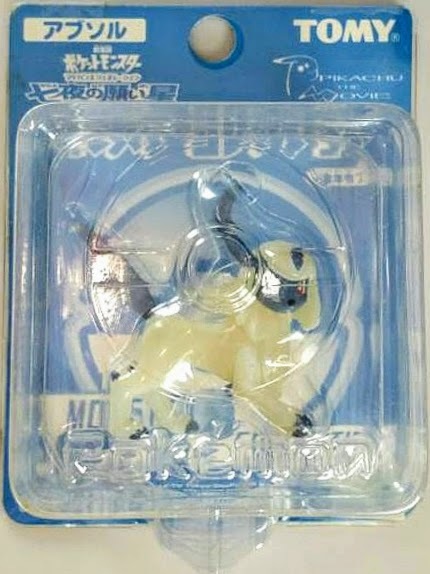 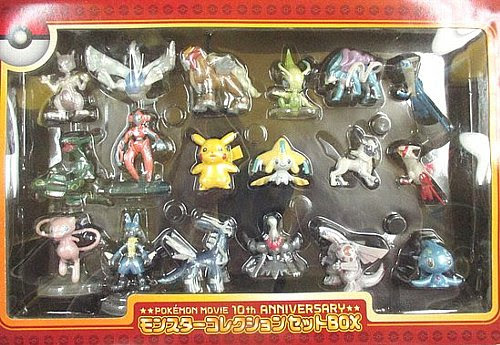 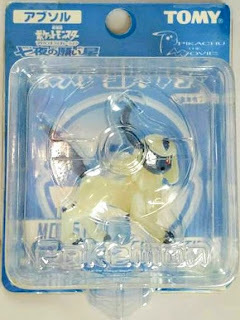 Pearl color version in 2007 Pokemon movie 10th anniversary set. 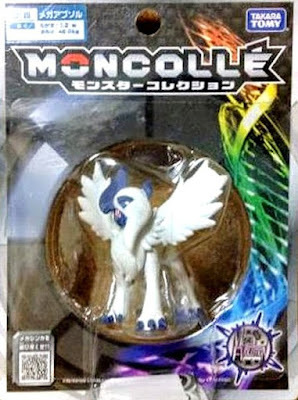 Same pose as MC with matte paint in MONCOLLE series. Mega Abosol figure with matte paint in MONCOLLE SP series. Absol in YJ Auction ?